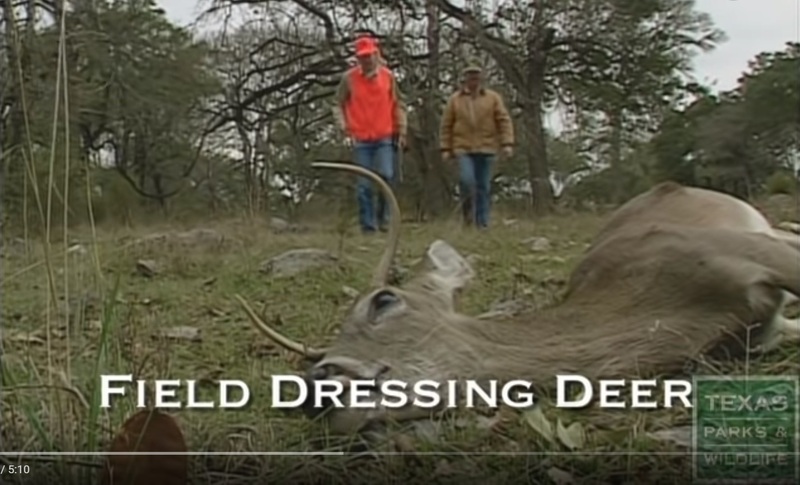 It’s deer season in Texas, and harvesting the animal is just the beginning. Once you’ve pulled the trigger and you’ve got an animal down, the work really begins. That’s longtime hunter and accomplished home cook, Lee Smith. Field dressing, which involves removing the animal’s internal organs, is a race against the clock. Meat spoils due to three things: heat, moisture and dirt. Getting those internal organs out is going to immediately start to let that carcass cool. Second thing is: the skin. Taking that skin off is going to get that animal cooler, and also allow it to dry quicker. Once you’ve got it back [to camp], and taken the skin off, you rinse out the interior chest cavity, and get it into that cooler. 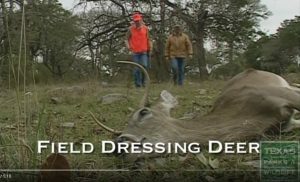 If you’re hunting on public land, or there isn’t a walk-in cooler at your lease, once you’ve field dressed and skinned your animal, quarter it. That’s taking off the four quarters, the two backstraps, and the rear legs. That’s what you are legally bound to take. If you don’t take that, you can be ticketed for waste of game. Put the quarters into tall kitchen garbage bags, and then into coolers with ice. How to handle game at home – that’s tomorrow. Out show receives support in part from RAM Trucks: Built to Serve. This entry was posted on Monday, November 5th, 2018 at 12:00 am	and is filed under Food, Processing, Venison. You can follow any responses to this entry through the RSS 2.0 feed. You can skip to the end and leave a response. Pinging is currently not allowed.